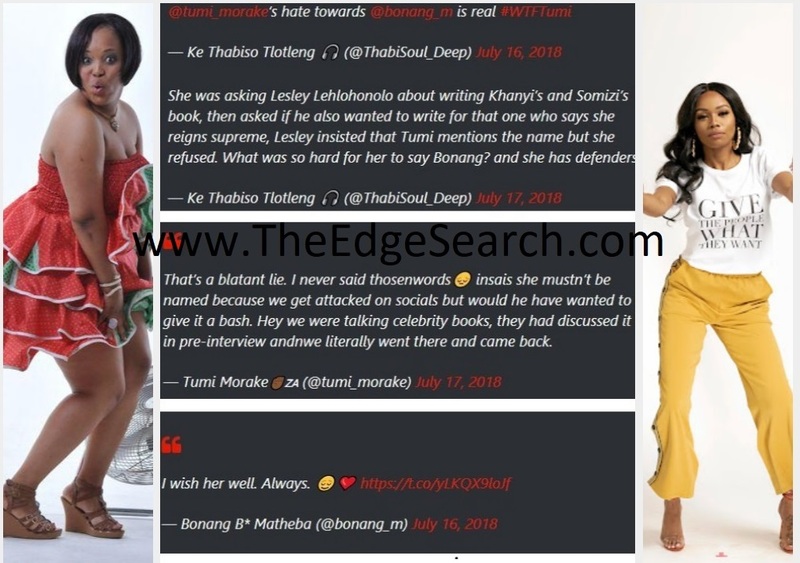 Bonang Response To Tumi Morake’s Continued ‘Hate’ Towards Her! If you’re a big fan of Bonang then you already know she lives by these statements: ‘return hate with love and kill them with kindness’. According to tweeps who watched WTF Tumi’s latest episode, the comedienne threw shade at Bonang over her book. Tumi denied throwing shade saying she didn’t want to say Bonang’s name because of the social media attacks she would get. When Bonang saw a fan’s tweet about Tumi’s continued ‘hate’ over her, she had a few words. “I wish her well. Always,” Bonang tweeted.